In NY Tower was THE place to get the albums and "CD's" you couldn't find elsewhere. 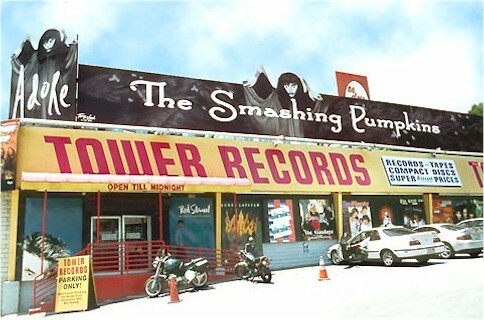 I loved the Tower Records in Concord, CA! While all the Towers were big and had huge selection, there was nothing anywhere that was quite like the Jazz section at Concord Tower... Large separate sections of modern jazz, Big-Band jazz, and "Traditional Jazz" (Dixieland, ragtime, etc.). I believe this was because of its close proximity to the big Concord Jazz Festival, one the country's biggest. The festival even had (or maybe still has) its own record label (Concord Jazz, naturally) with a large stable of nationally-known jazz artists represented. I spent many many hours browsing the Jazz aisles at Concord Tower... Bought a lotta stuff, too!